Thanks for clicking to follow our climb and our charities. On Sept 1st, Carl Drew & Brad Weimert will depart from Naples, Italy, with a bag full of climbing gear, a few years of climbing experience and the goal to summit "The Alpine Trilogy" (Mount Blanc, The Matterhorn, and The Eiger). During their climbs they will face some of the most difficult terrain and conditions they have yet to face together as climbing partners. The mountains they will be attempting have peaks that loom more than 9,000 feet above the valleys below them, there is half as much oxygen at the summit as there is at sea level,and every year lives are lost on these three mountains due to weather, accidents, and poor decisions. 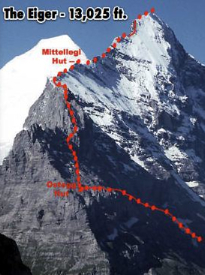 The peaks are covered in ice and snow with straight vertical challenges, and reaching the top of all three is considered a mountaineer's dream. 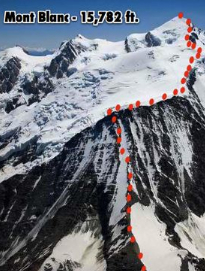 The climber's goal is to climb each peak as safely as possible while raising awareness and funding for two charities that are close to their hearts: Angel Wings International and The Rainbow of Hope Foundation. Both organizations focus on medical care for youth, and both could use your support. Please click on the charity link above to read about these two charities. Supporting these causes is as easy as clicking on one of the "donate" buttons on the right side of most pages. 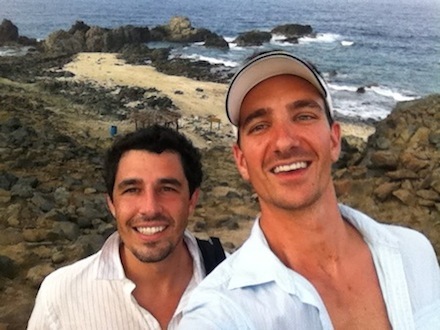 Carl & Brad will be broadcasting their struggles as they climb, so you can follow them in "near real time"
We hope to keep you entertained as you follow the climbing adventure, and to inspire you to help us hit our goal of raising $30,000 to support these two medical missions. 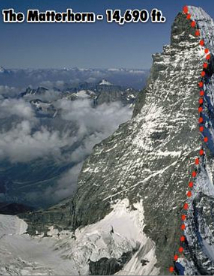 The climbers are covering all cost related to the climbs out of their own pockets. 100% of your donation goes directly to the charities, and neither charity has paid staff, so your donation will go directly to saving the lives of children in the USA and Haiti!